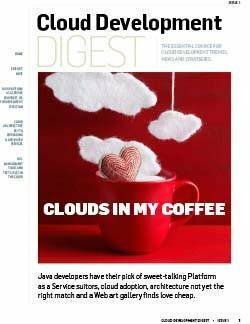 Read this SearchSOA.com e-book for an introduction to the two main schools of thought for optimizing cloud application development and today’s top cloud developer strategies. Find out the issues surrounding programming language so you can decide whether to learn a new one for the cloud. Explore the roles that distributed caching, horizontal scaling, relational databases, and mid-cloud changes play in determining your optimal software architecture for the cloud. Some pundits foresee a future in which all data center computing is done in the "cloud," but that future is a long way off. 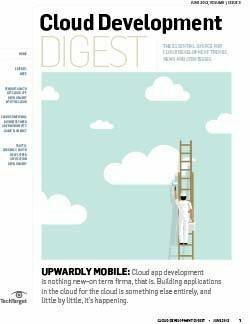 Most organizations have just begun to venture into the cloud. Many others remain skeptical because of security and quality-of-service concerns. Read this e-book to learn what CIOs can to do now to prep their own environments and learn about the most important cloud risks -- as well as the rewards that many forward-thinking companies are experiencing. 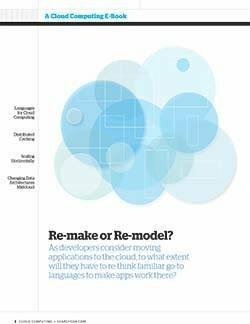 Optimizing cloud application development: Re-make or re-model? Cloud computing has brought many changes to the development world, not least of which is the question of how the languages developers most frequently use will work as expected there. 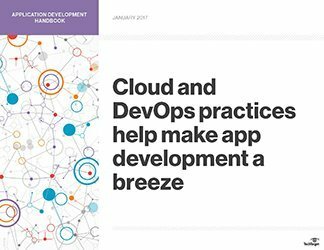 In this chapter, learn about the different options for developing in the cloud, and the pros and cons of each. The emergence of Software as a Service-based applications has enabled organizations to get new applications up and running quickly and cheaply, saving resources for mission-critical tasks. Hear from experts on the costs and ROI associated with SaaS applications, explore information on single-tenancy vs. isolated tenancy, and read about some of the drawbacks and security concerns of SaaS in this comprehensive e-book. Infrastructure as a Service (IaaS) —or the ability to rent servers and storage by the hour in a pay-as-you-go way—is not only real but also saving companies millions of dollars and fundamentally changing the way IT organizations operate and support the business. Buying Infrastructure as a Service (IaaS) is a mouth-watering prospect for CIOs and IT departments eager to drive down costs and speed up provisioning. But once IT is outsourced, keeping control of it is a major challenge. Get answers to your IaaS questions here, and learn best practices from our experts.